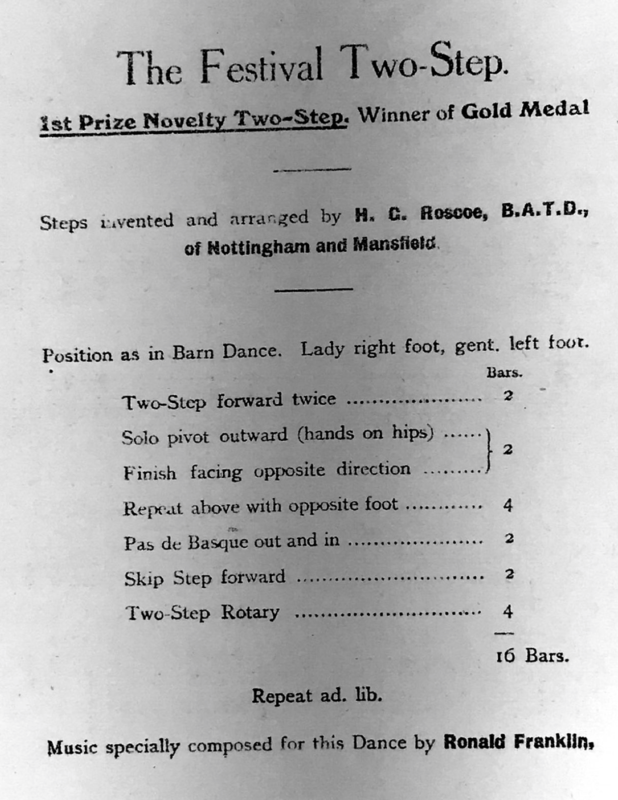 This is a satisfying early English sequence two-step composed by H. G. Roscoe, which won first prize at The Winter Gardens, Blackpool Dancing Festival in 1920. Side-by-side in half-closed position, both facing LOD as in the Military Schottische. Part I - Promenade and Rollaway (4 bars): Two two-steps forward (1-and-2, 3-and-4), then rollaway from each other with three steps (forward along LOD, back along LOD, back along LOD), hands on hips. Part II - Repeat Opposite (4 bars): Repeat Part I on the other foot traveling against LOD. Part III - Pas de Basque and Skip (4 bars): Pas de basque away from partner (1-and-2) and toward partner (3-and-4), then skip (i.e. step-hop) four times along LOD (5-and, 6-and, 7-and, 8-and). Part IV - Turning Two Step (4 bars): Four bars of turning two-step (1-and-2, 3-and-4, 5-and-6, 7-and-8). There's an eponymous tune composed specifically for the dance by Ronald Franklin, but any square, early 20th century two-step in 6/8 time will work nicely. H. G. Roscoe. (1917). 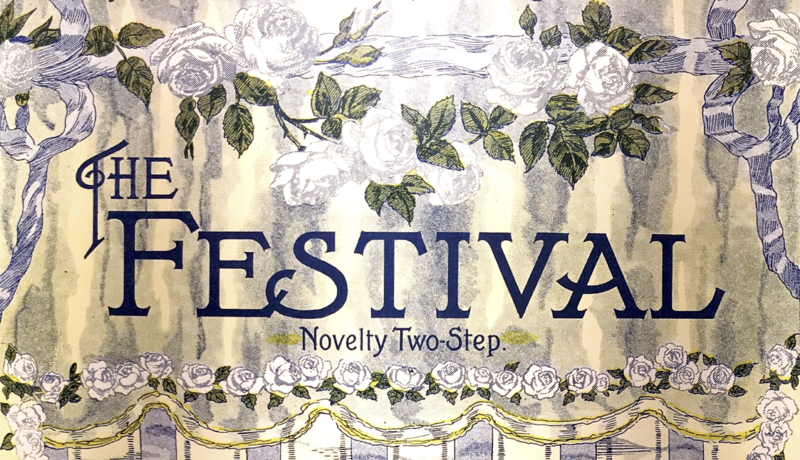 The Festival, Novelty Two-Step. London.